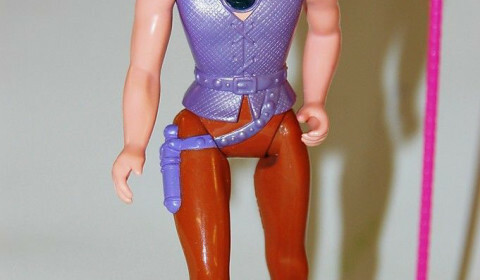 6” tall action figure of Basic Princess Gwenevere from the animated TV series. 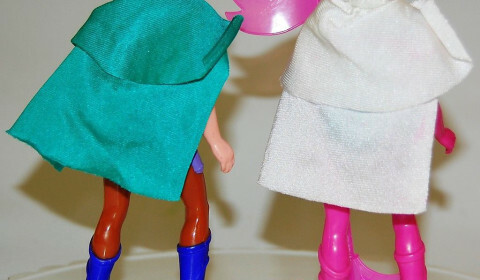 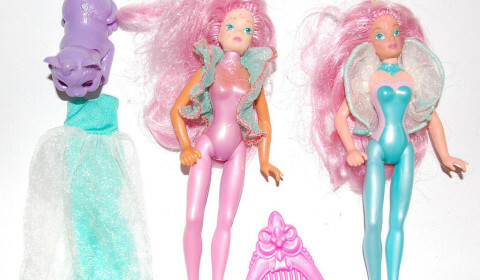 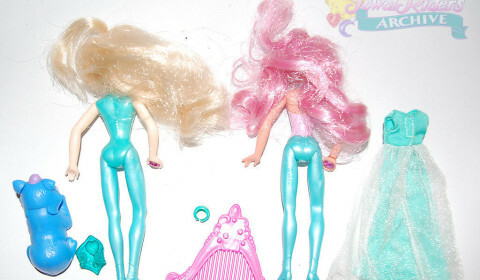 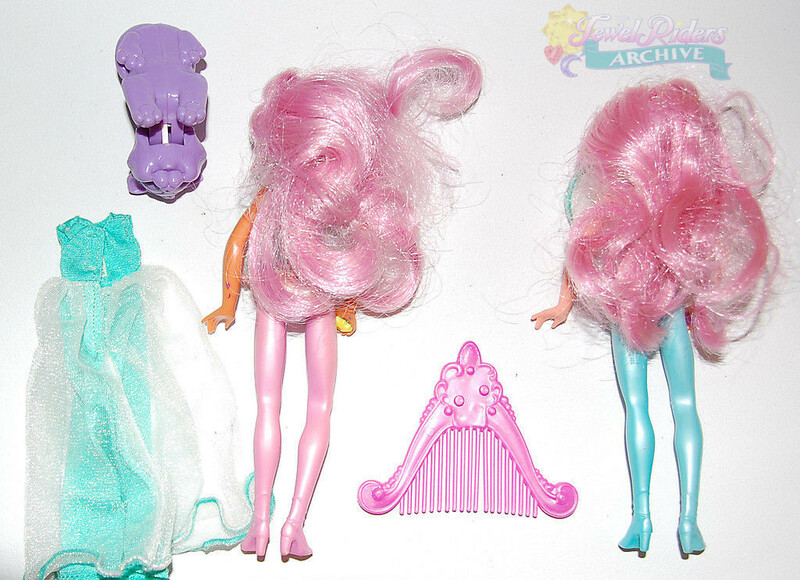 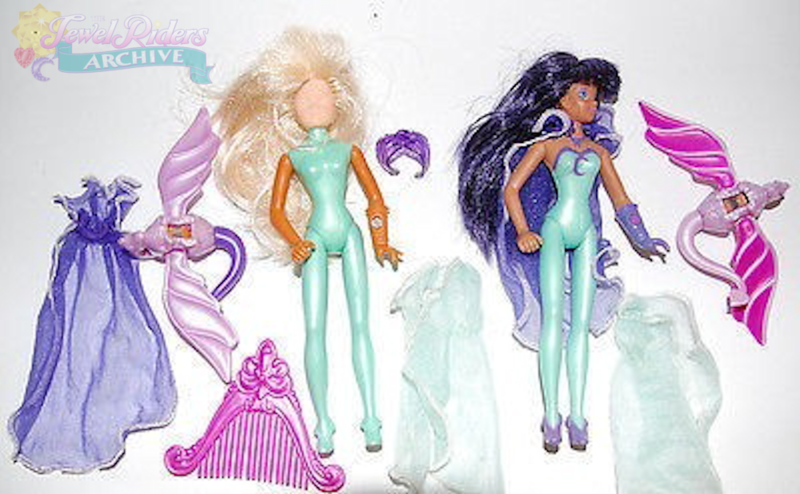 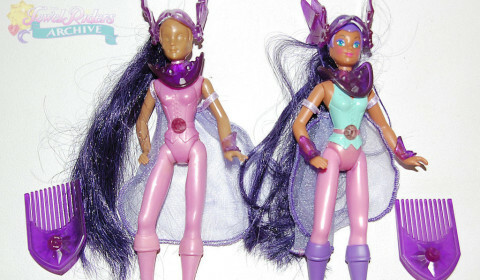 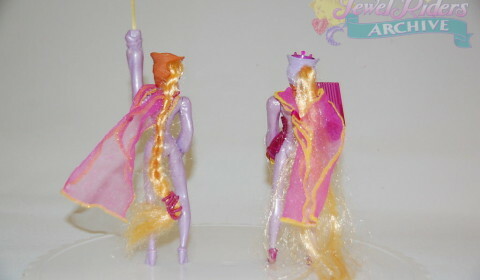 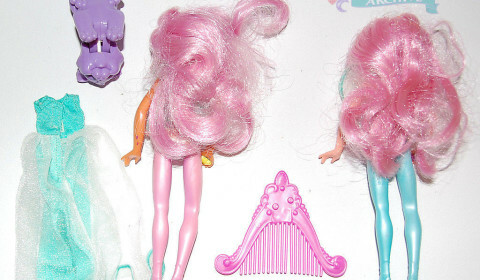 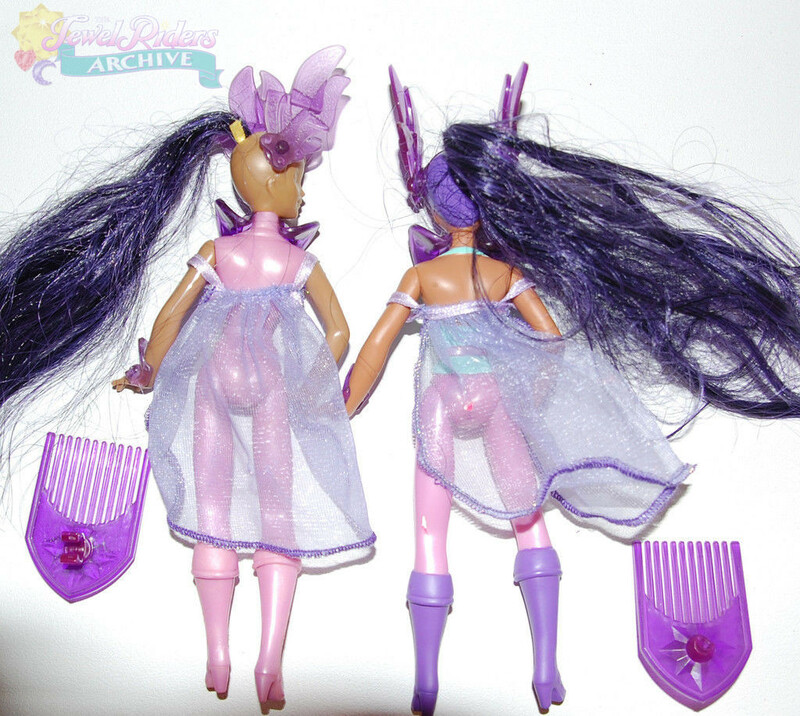 This set contains a finished doll and one of the pre-production models that was never painted and does not have the legal markings molded onto its leg. 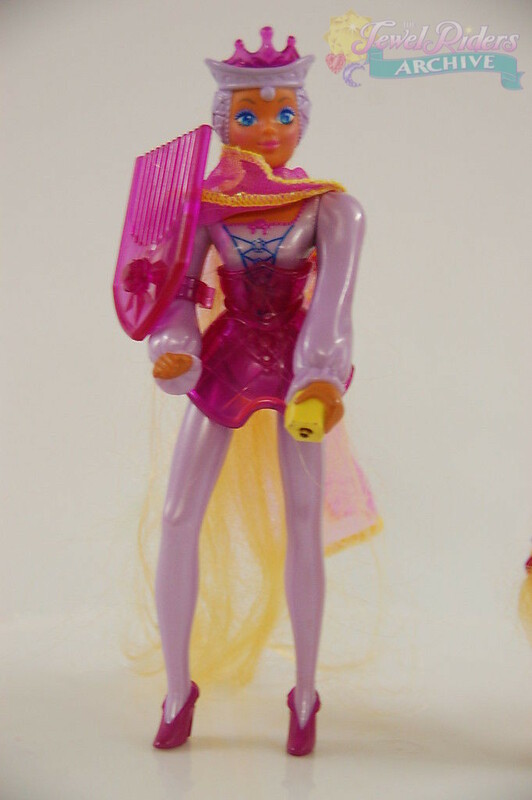 6” tall action figure of Princess Gwenevere from the animated tv series this figure did not ship in the original assortment but was on the market the figure came with a crown a chest plate a shield/comb and a soft goods wrap. 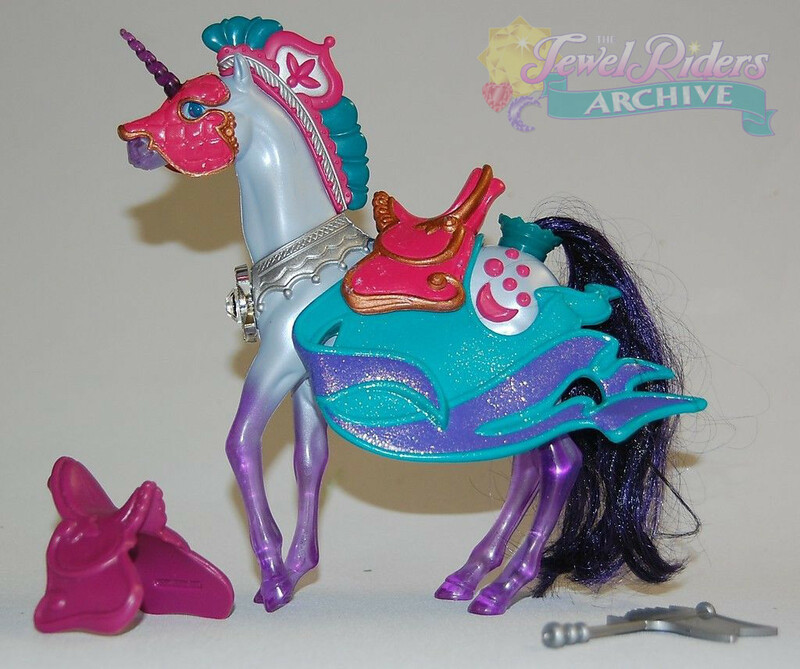 When you raise her right arm up – her jewel shoots out a power ray. 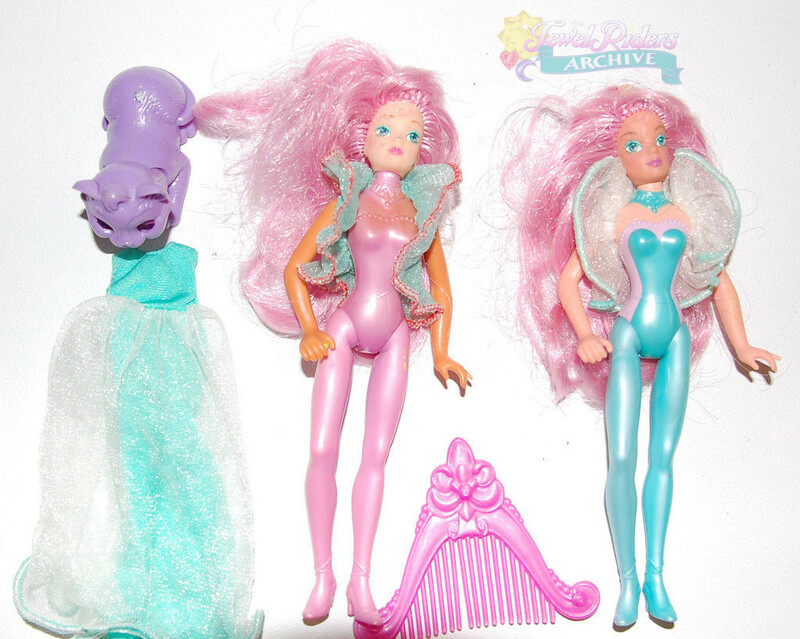 This set contains a finished doll, a “first shot” preproduction sample (molded in incorrect colors to test the mold) and one unpainted pre- production sample for approval of the tooling before the paint masks are made. 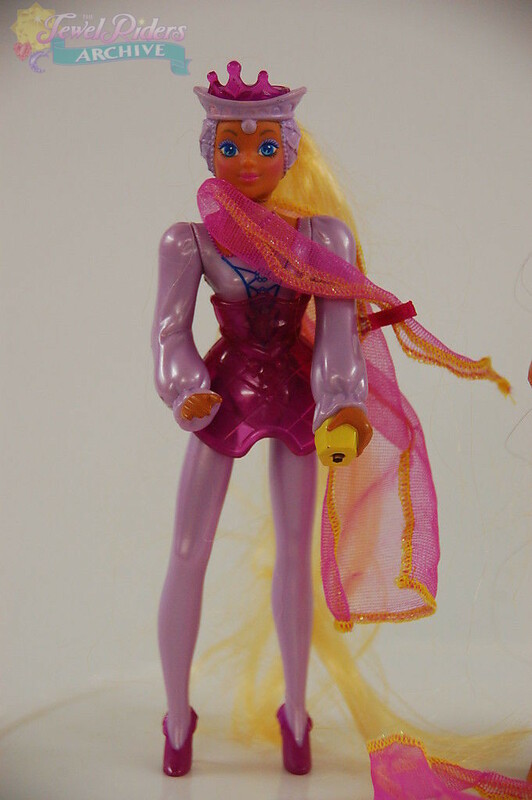 6” tall action figure of Deluxe Princess Gwenevere from the animated TV series. 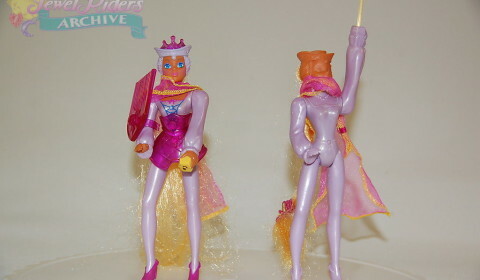 This set contains one finished doll and one of the pre-production models with the incorrect eye paint (her eyelashes look a little too much like Tammy Fay Baker…). 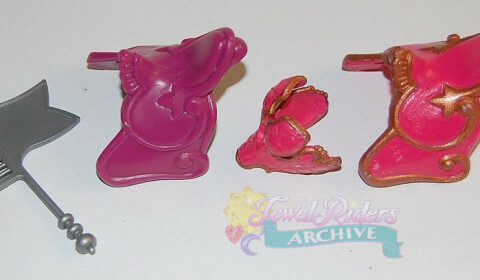 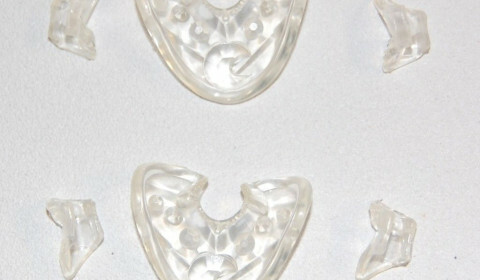 The accessories are molded in different colors. 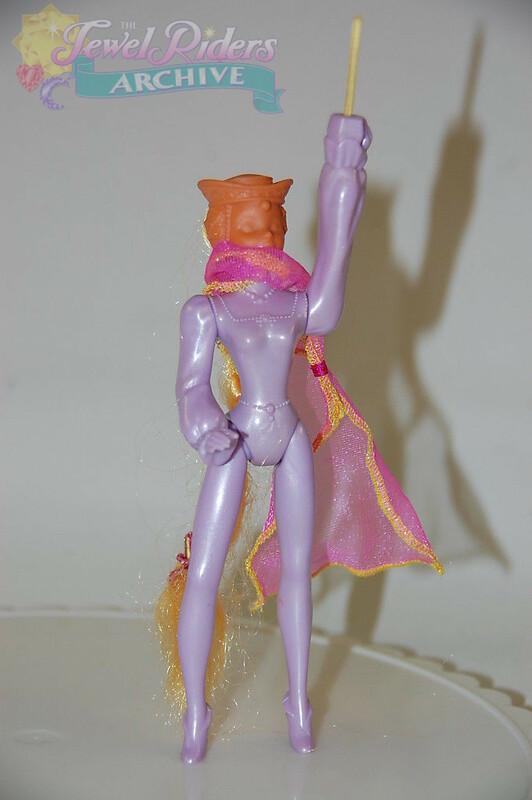 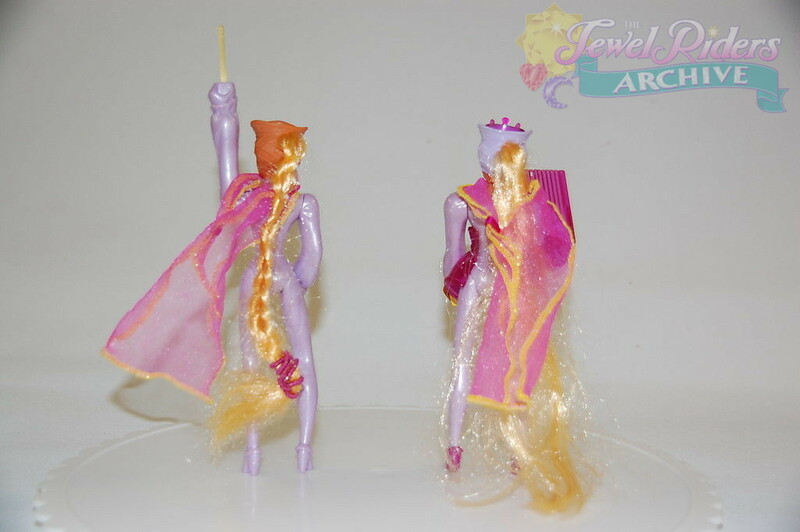 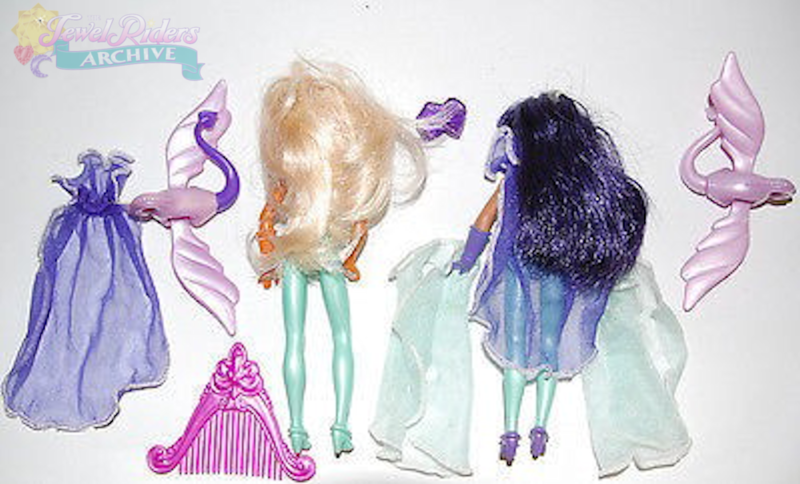 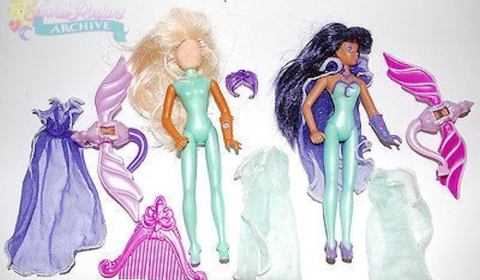 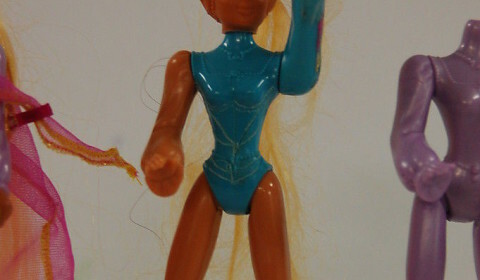 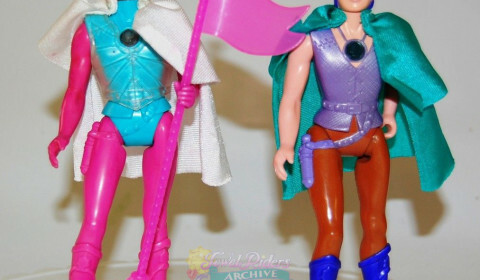 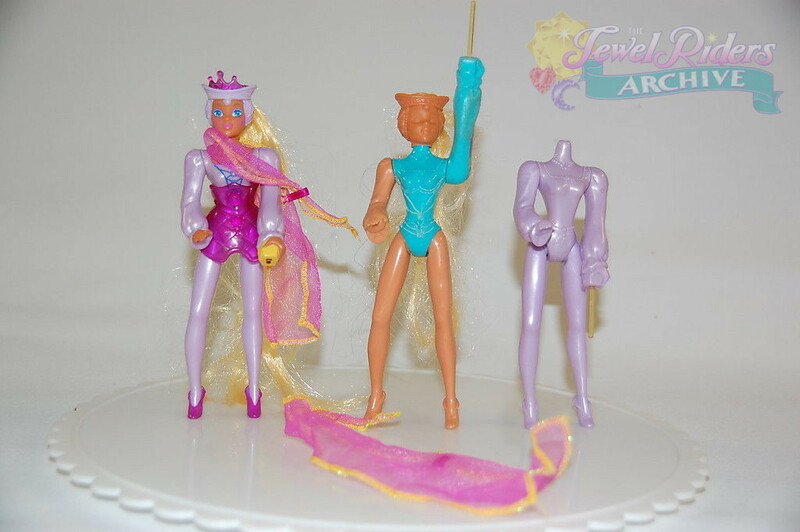 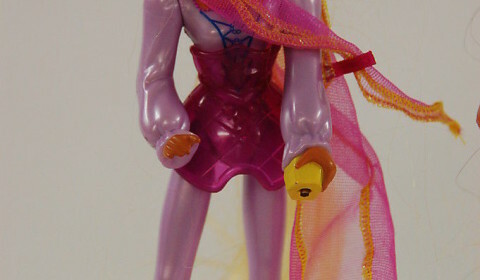 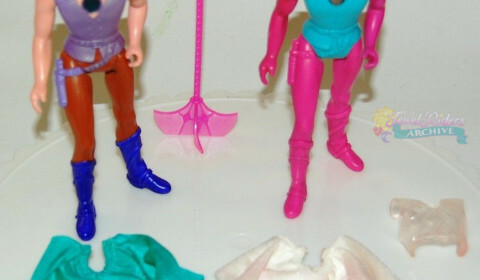 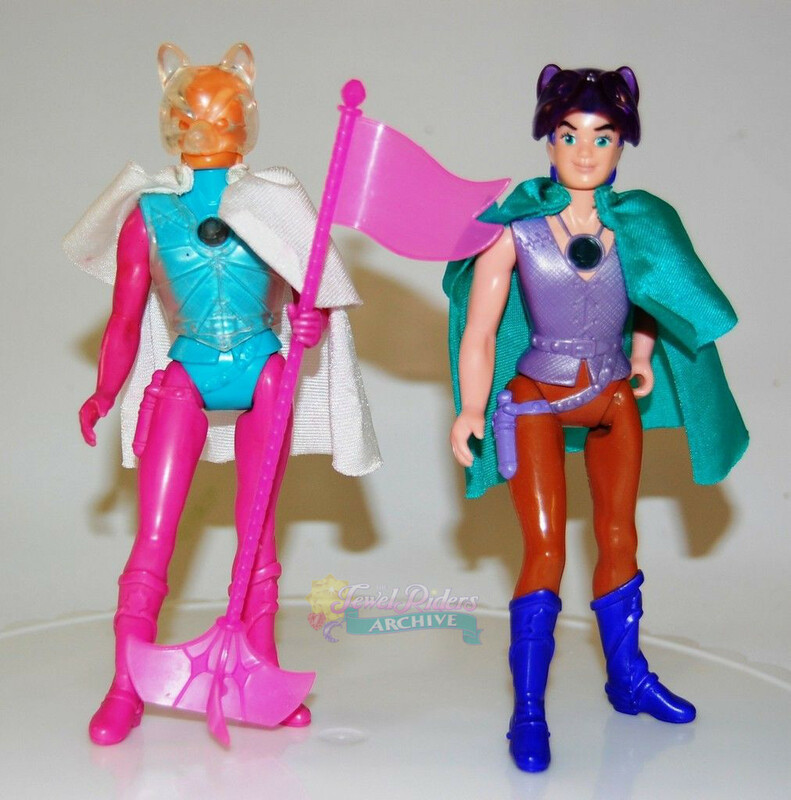 6” tall action figure of Basic Fallon from the Princess Gwenevere animated TV series. 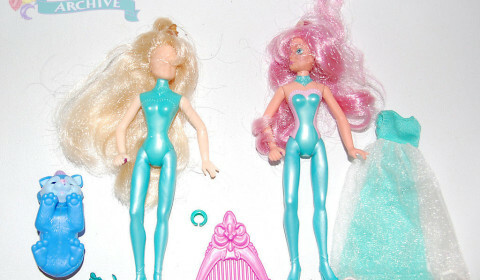 This set contains a finished doll and one of the pre-production models that was never painted and does not have the legal markings molded onto its leg. 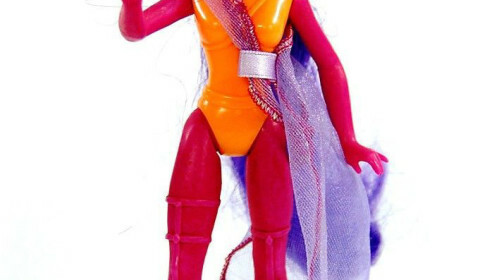 6” tall action figure of deluxe Fallon from the Princess Gwenevere animated TV series. 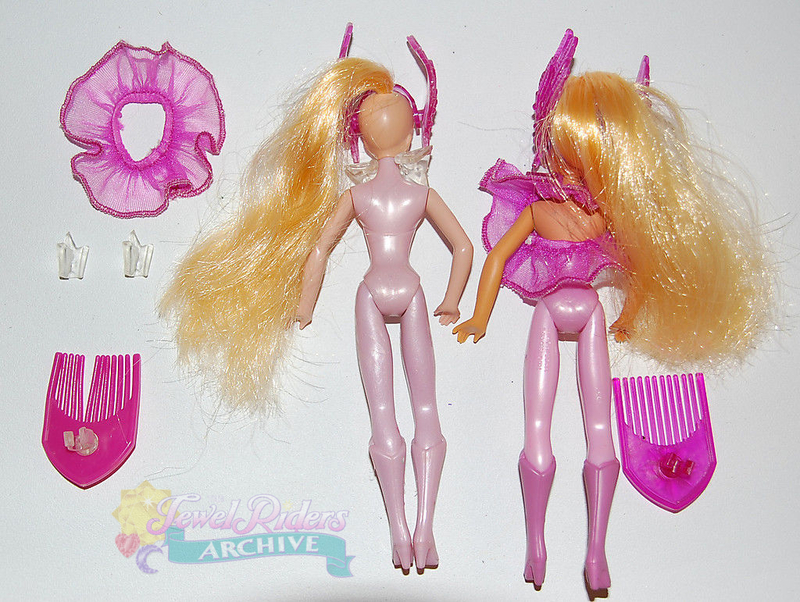 This set contains a finished doll and one of the pre-production models that was never painted and does not have the legal markings molded onto its leg. 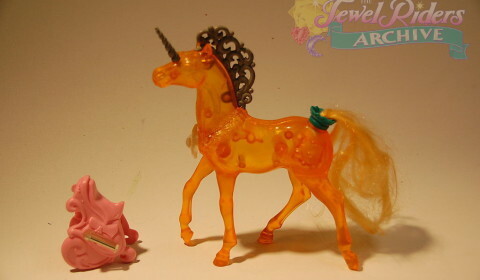 It also has the dragon unpainted. 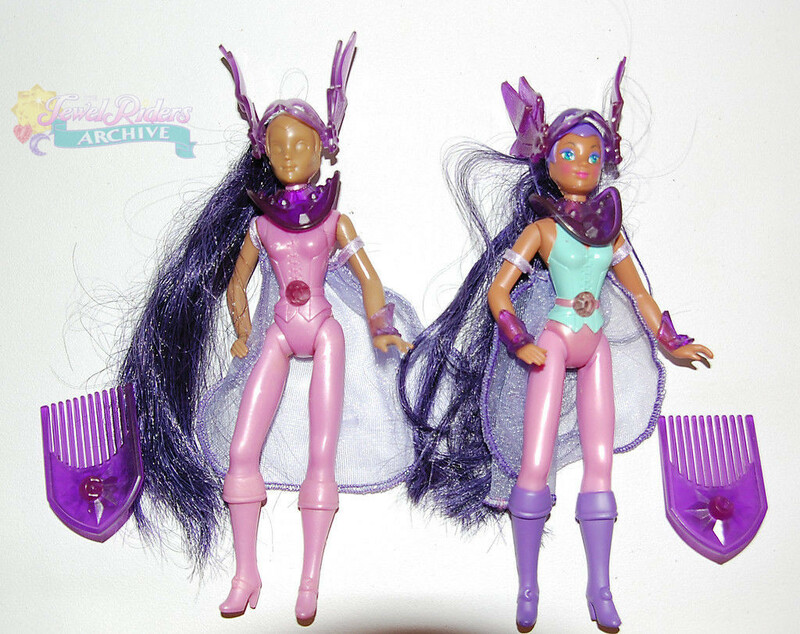 These are clear parts from basic Fallon. 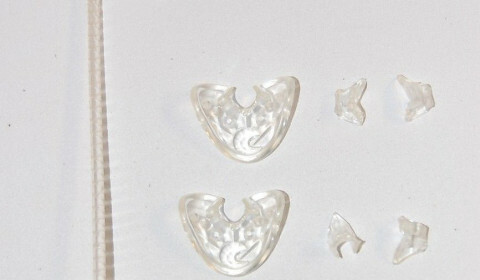 These parts would have been painted with a purple tint to make presentation samples. 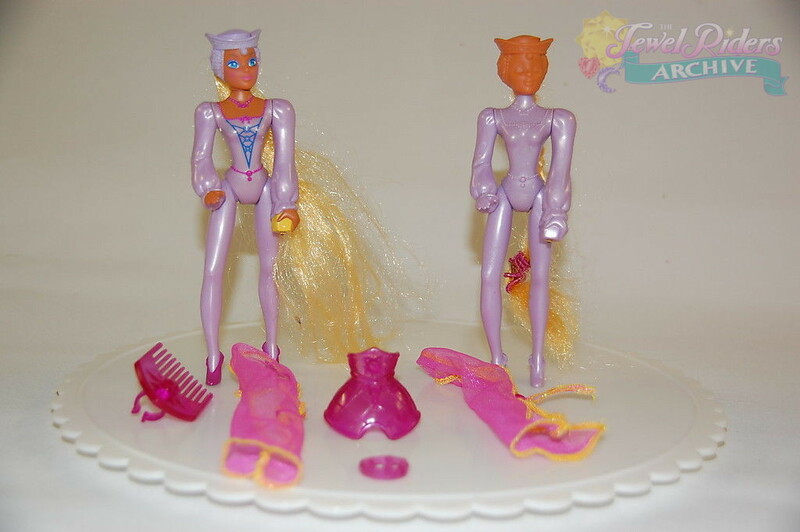 Comes with everything shown in the image. 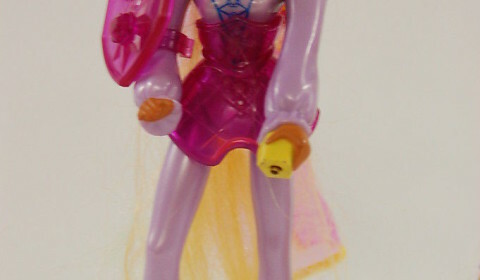 6” tall action figure of Basic Tamara from the Princess Gwenevere animated TV series. 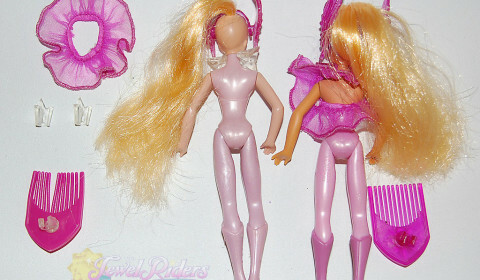 This set contains a finished doll and one of the pre-production models that was never painted and does not have the legal markings molded onto its leg. 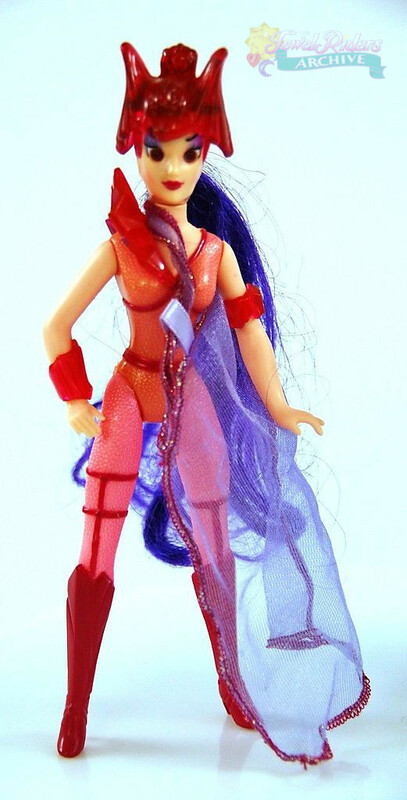 6” tall action figure of Deluxe Tamara from the Princess Gwenevere animated TV series. 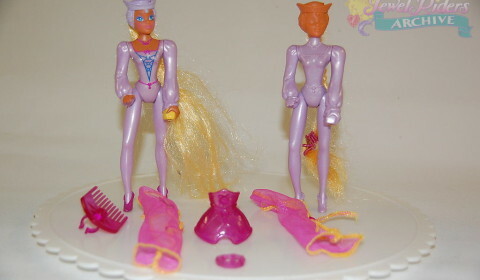 This set contains a finished doll and one of the pre-production models that was never painted and does not have the legal markings molded onto its leg. 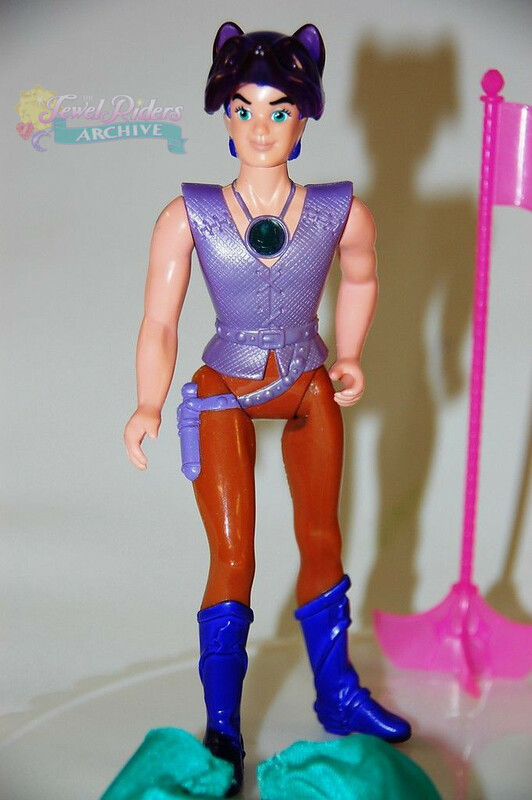 6” tall action figure of Drake from the Princess Gwenevere from the animated tv series. 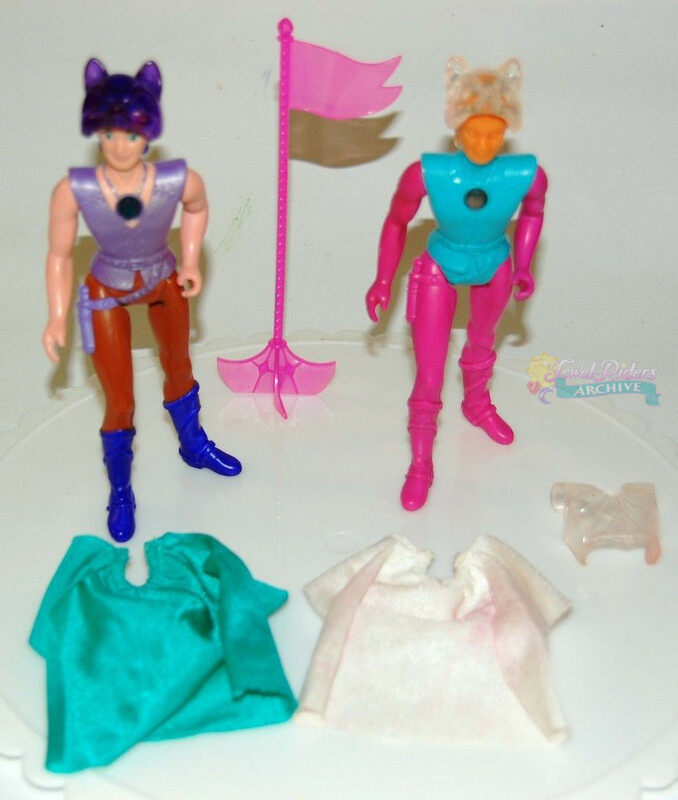 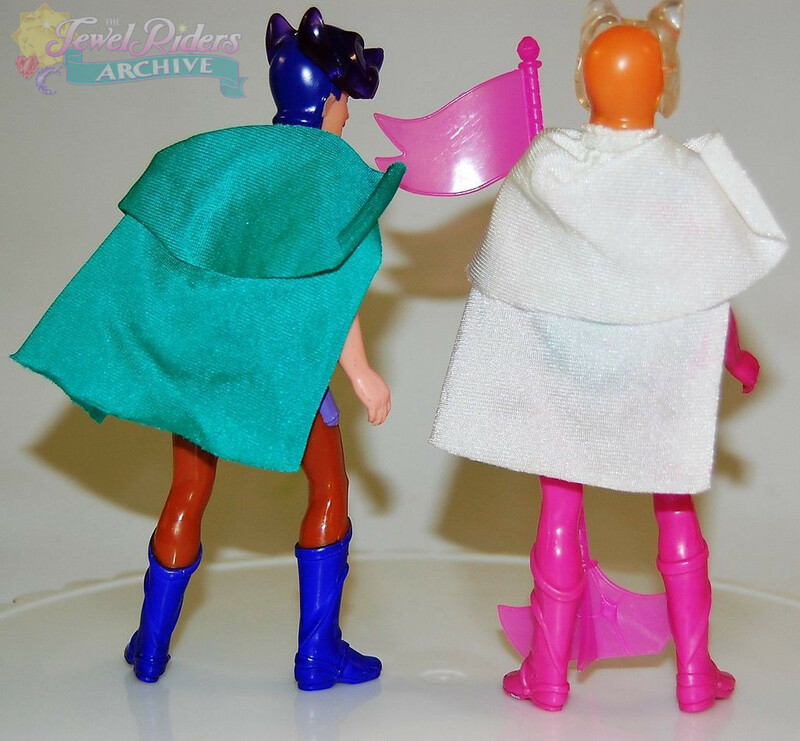 The figure came with a wolf shaped visor that flips back, a banner on flagpole and a soft goods cape. 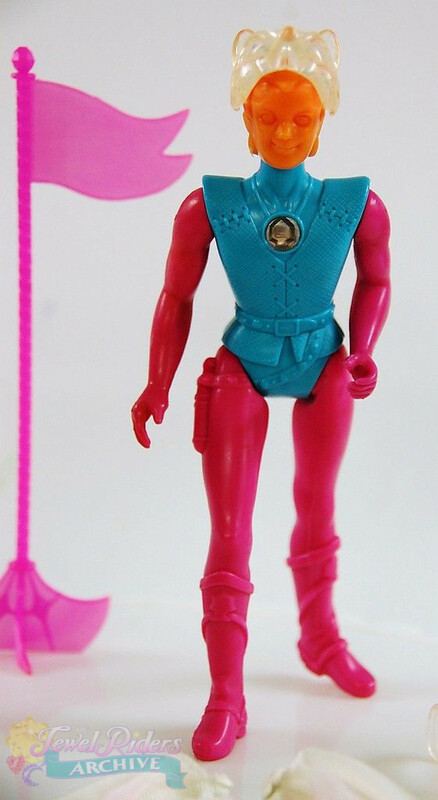 When you pull his visor down, his power jewel on his chest lights up. 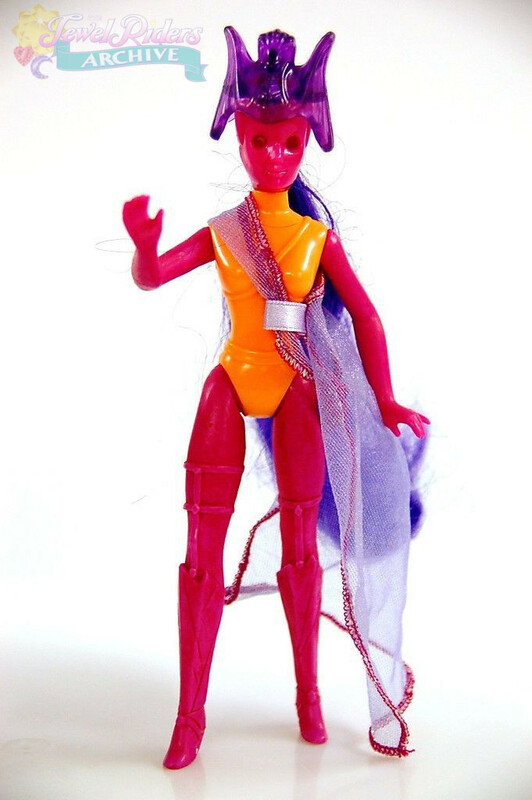 6” tall action figure of Lady Kale from the Princess Gwenevere animated tv series. 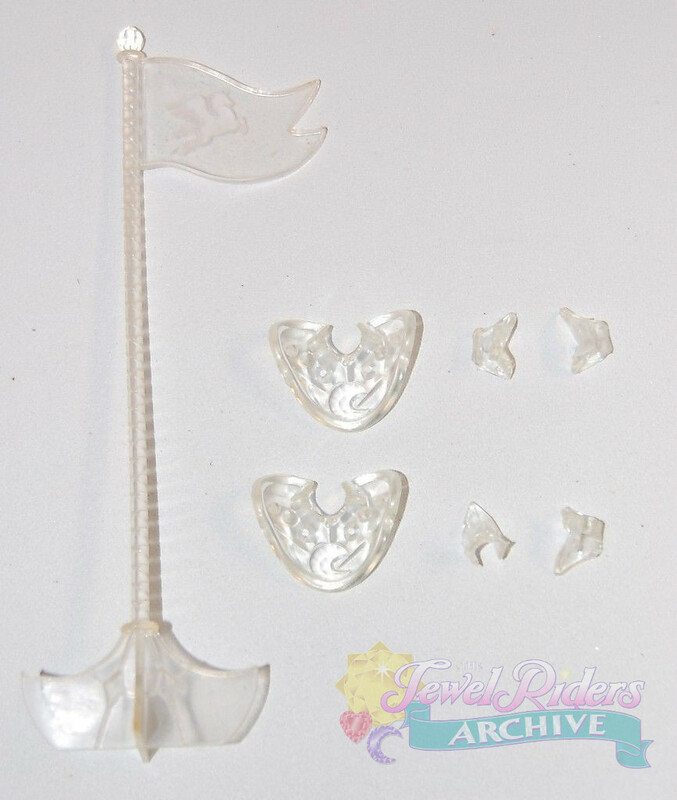 This figure came with a removeable shoulder armor peice, a jewel guantlet, a jewel arm band and a soft goods wrap. 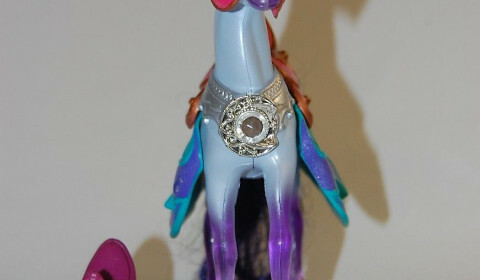 When you turn her dragon headpeice so the dragon is raised and her eyes glow. 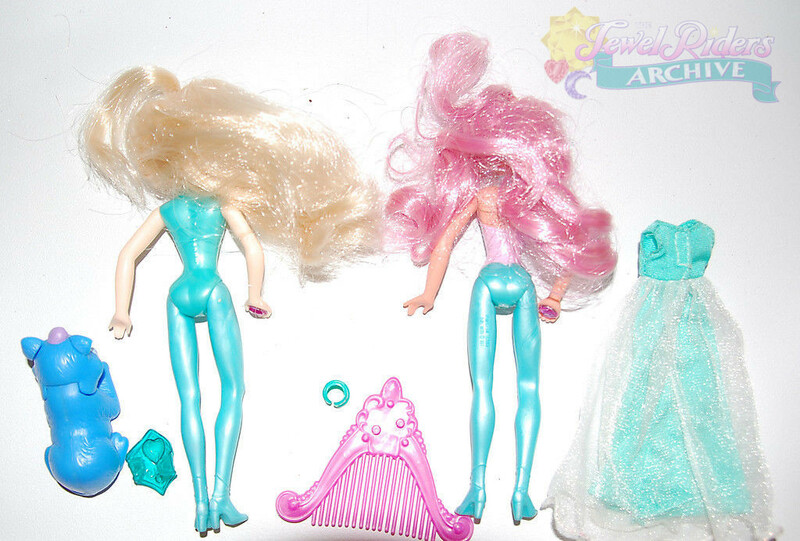 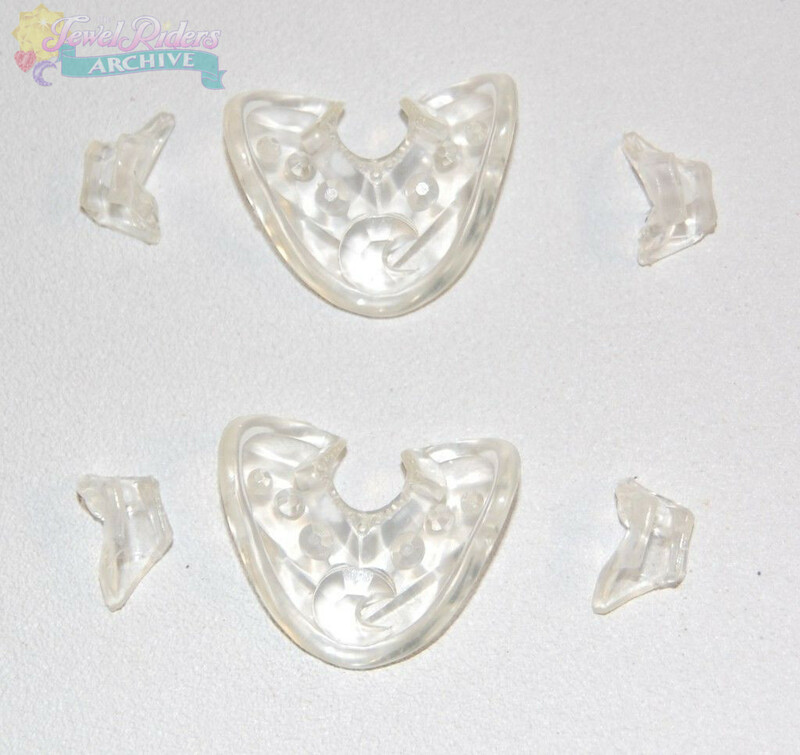 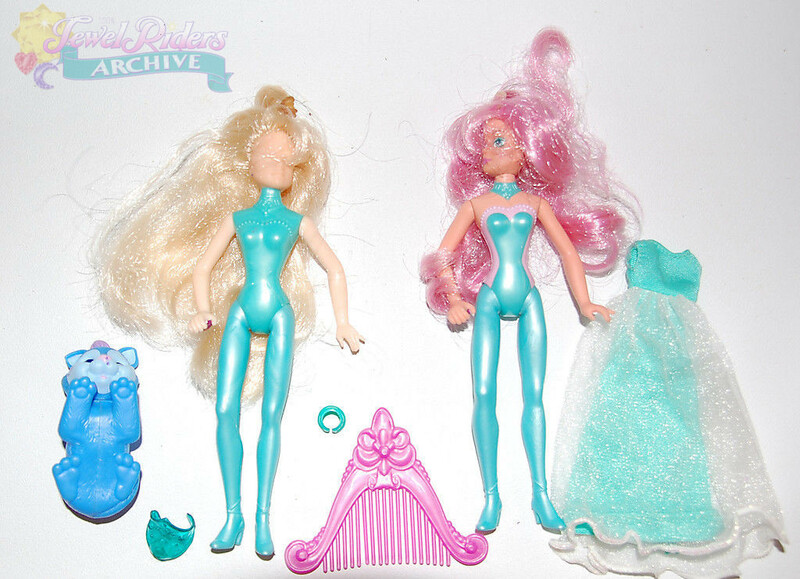 This set contains a finished doll and a first shot tooling prototype that is molded in any color available just to check that the tooling is correct. 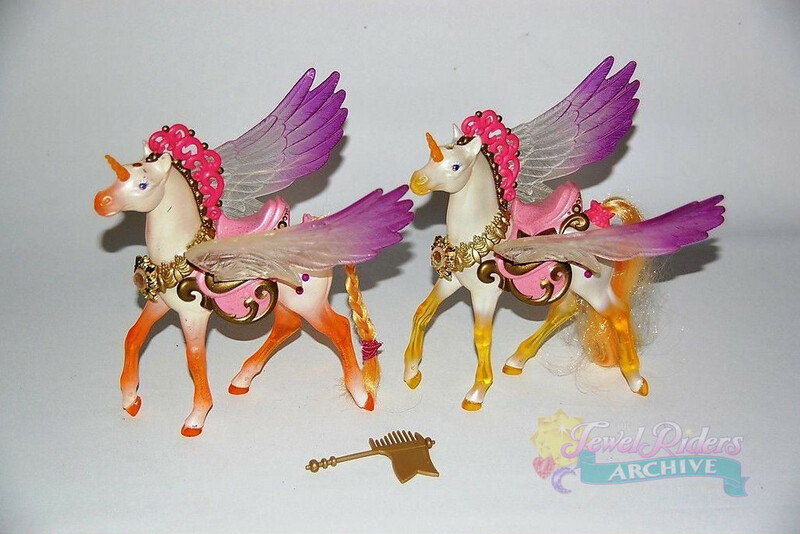 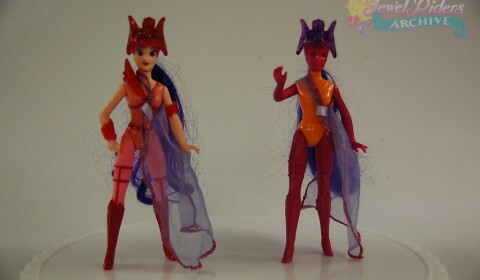 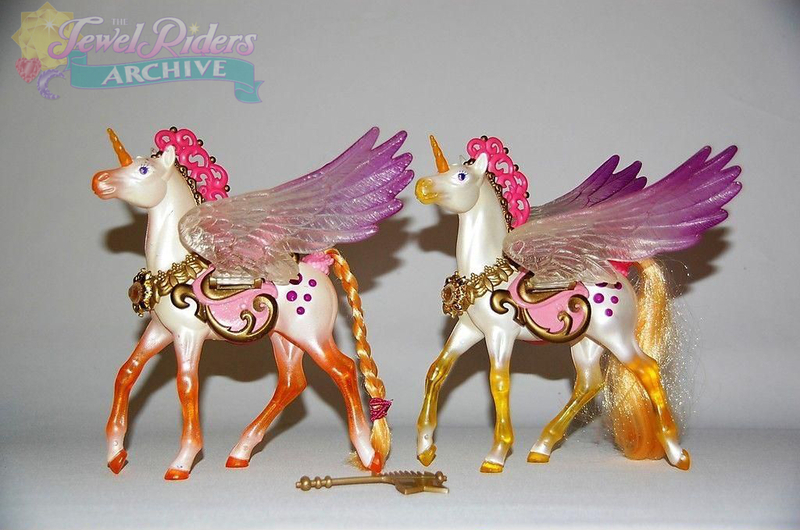 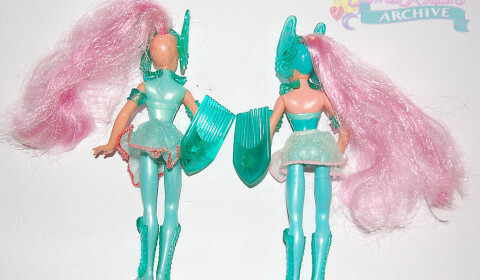 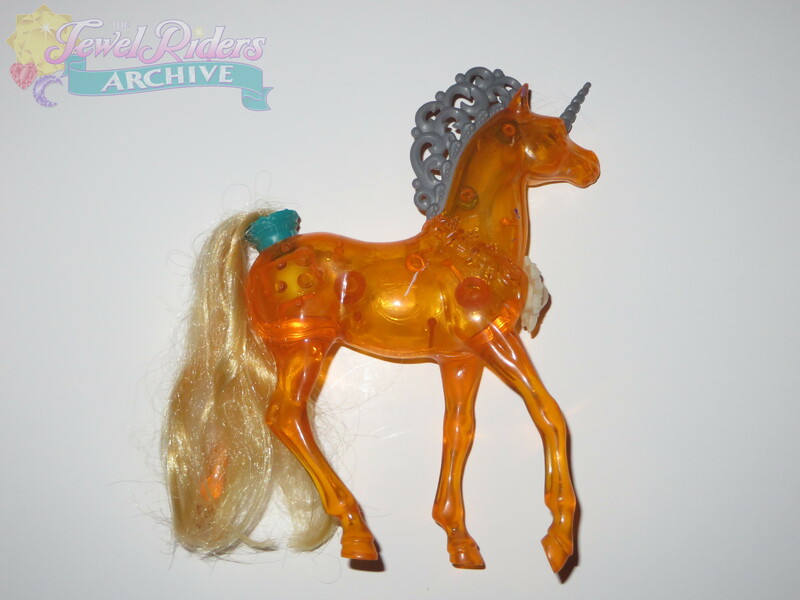 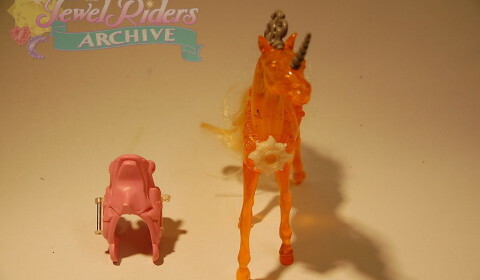 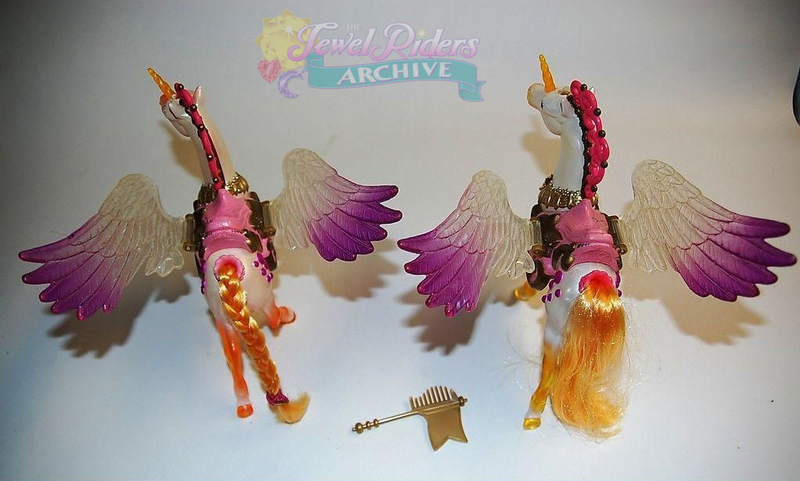 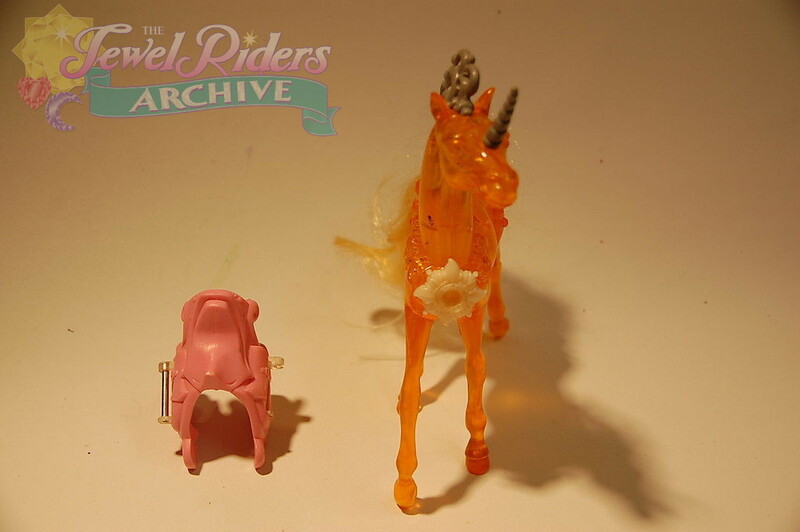 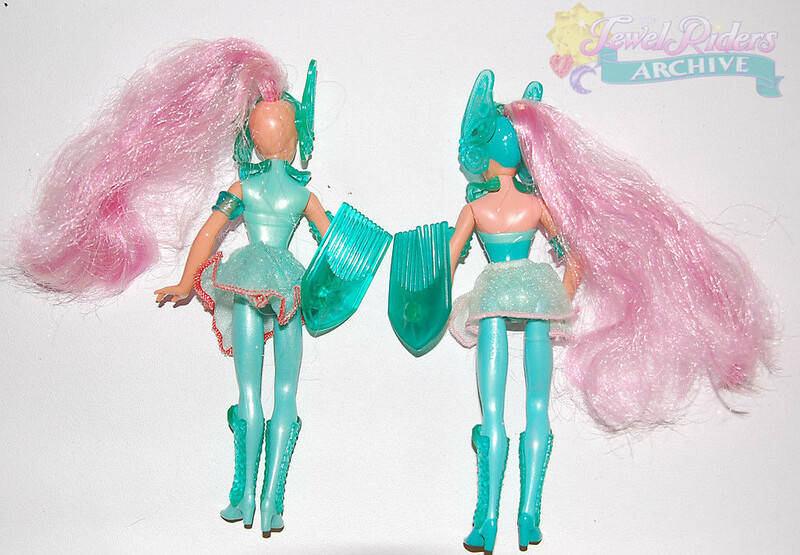 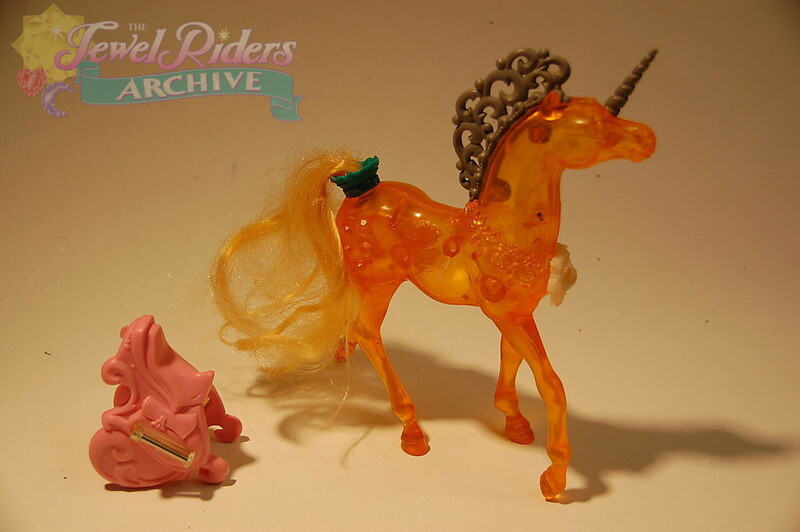 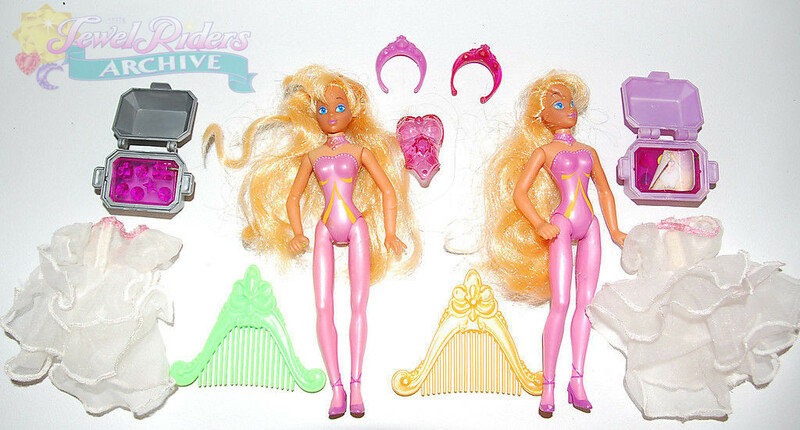 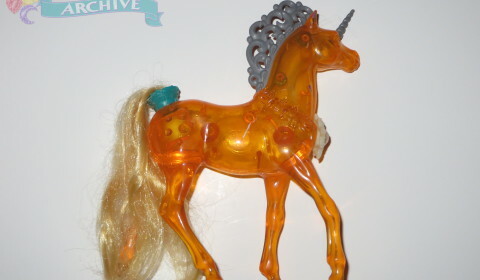 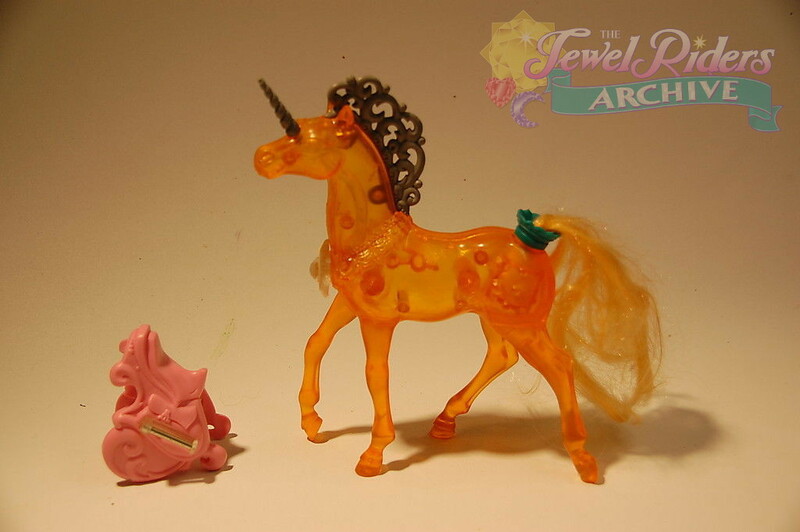 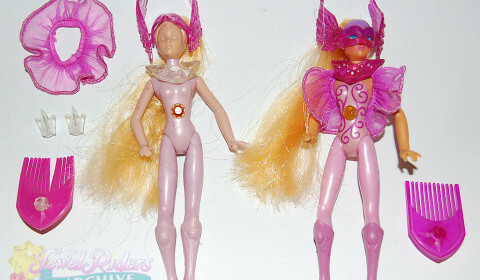 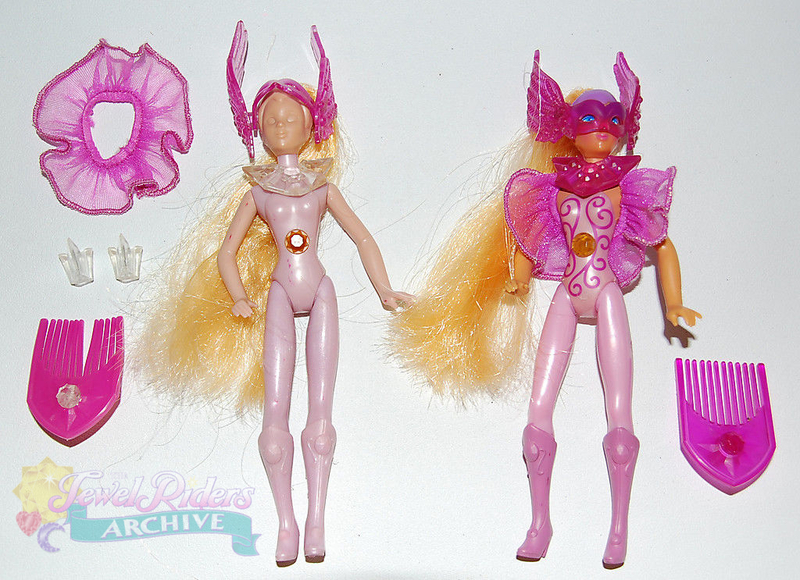 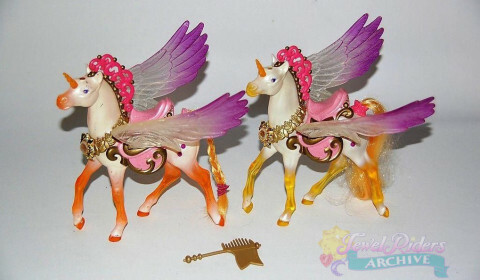 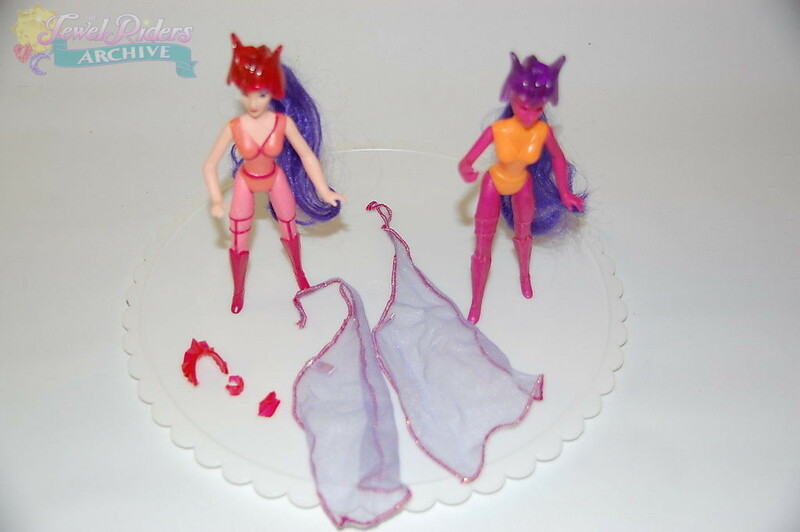 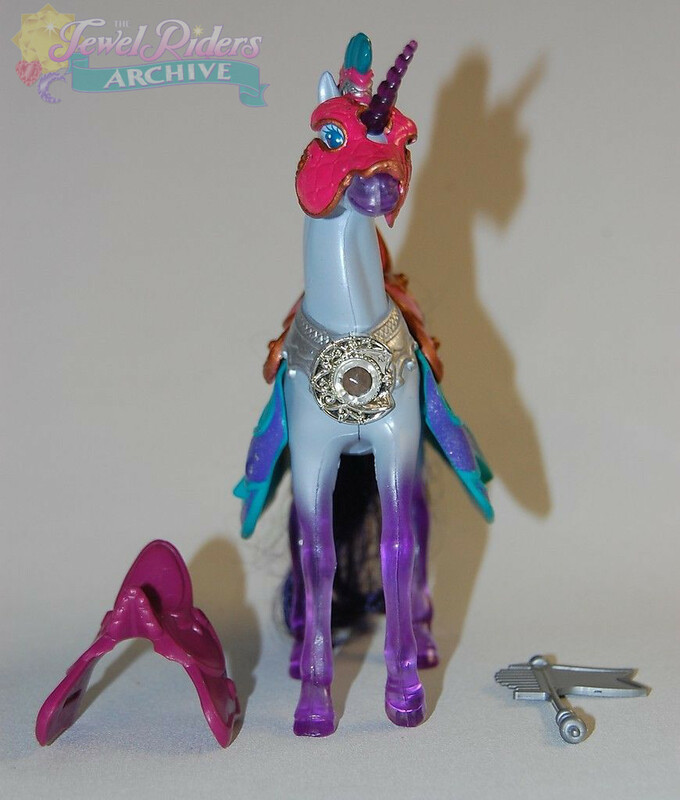 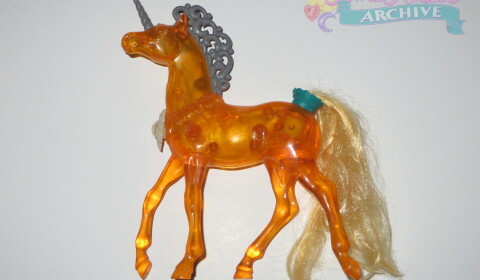 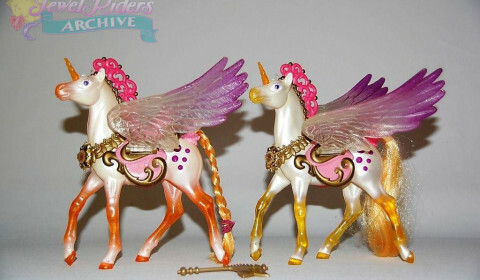 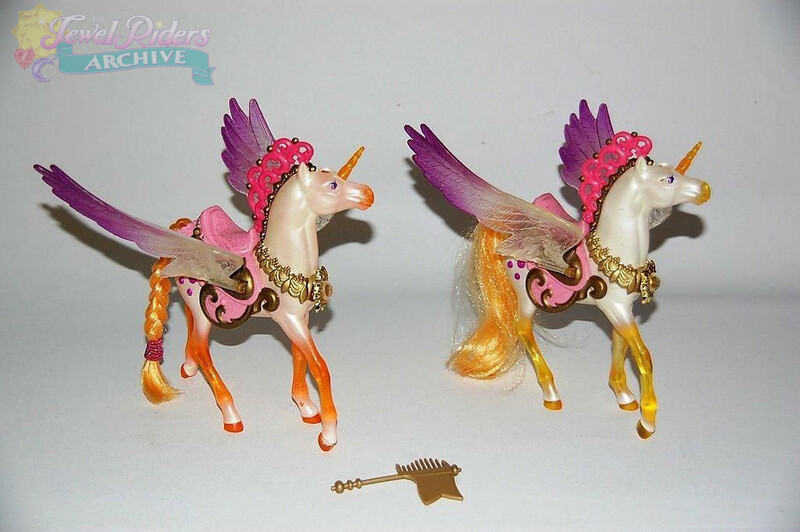 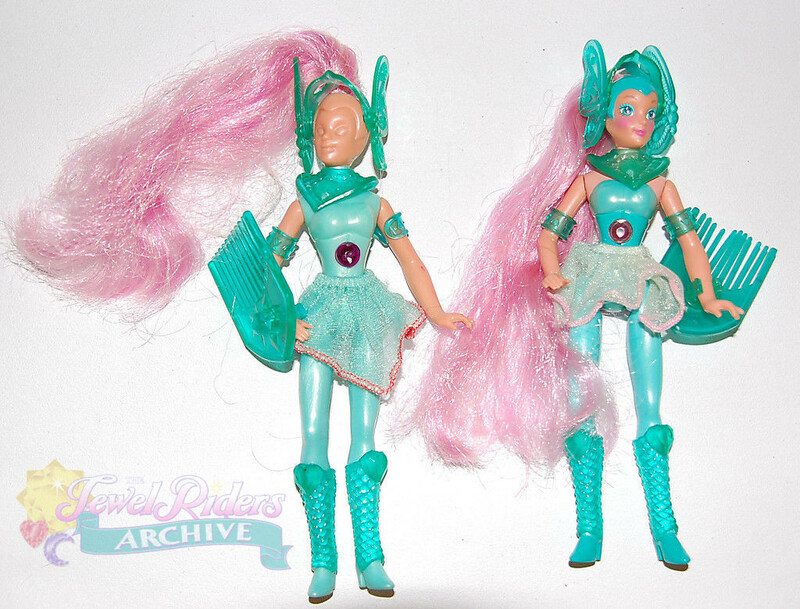 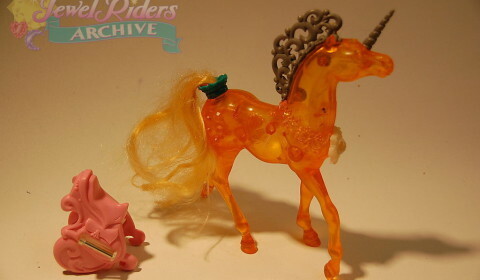 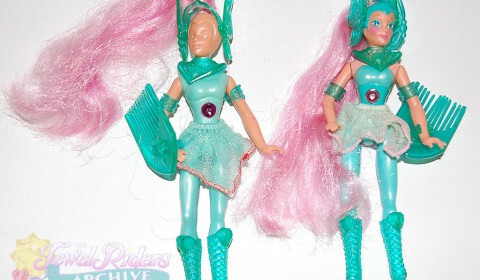 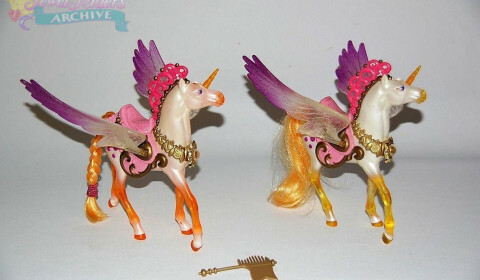 This is a preproduction model of Sunstar from Princess Gwenevere and the Jewel Riders. 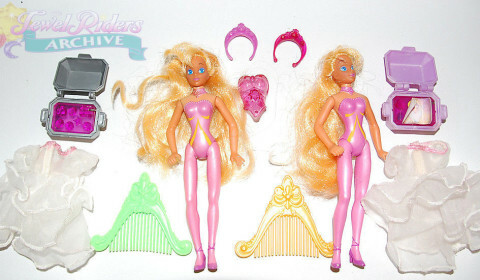 It is molded in slightly different colors than final production and it is not painted. 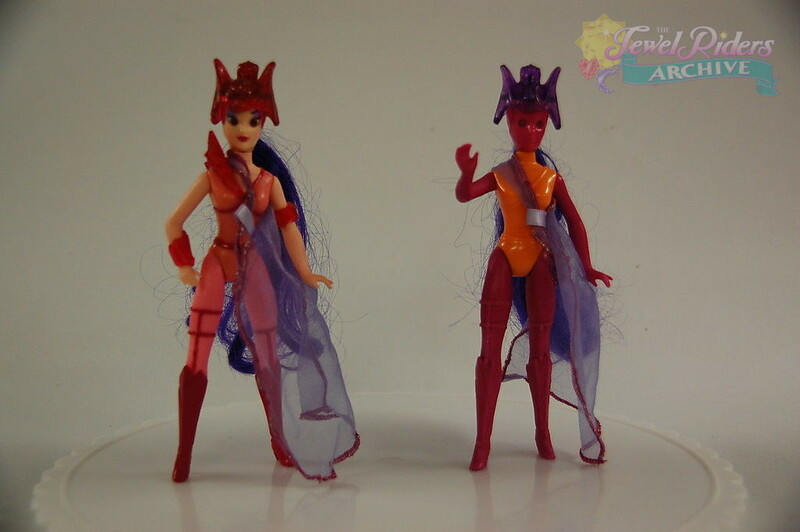 Also included is a production version in the correct color to make the color difference obvious. 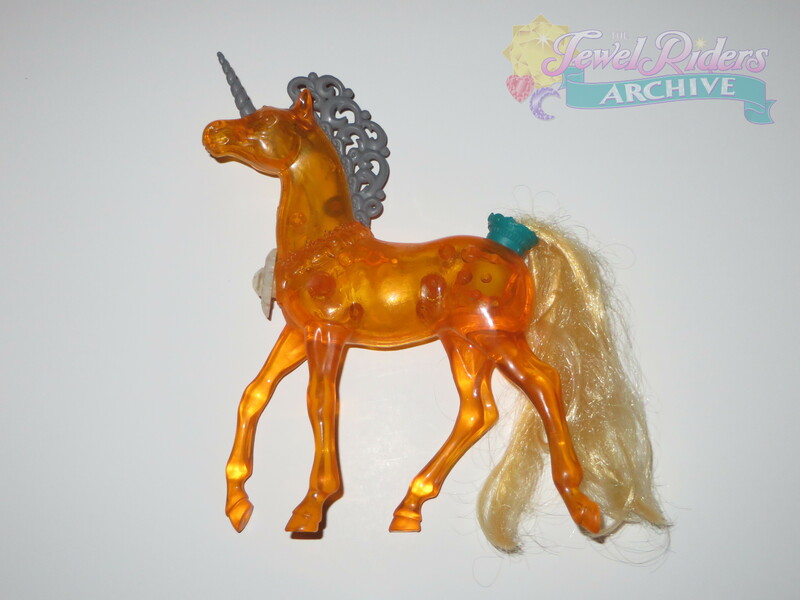 This Moonglow Unicorn was used as a presentation sample. The saddle and mask are hand painted as well as some of the other parts. 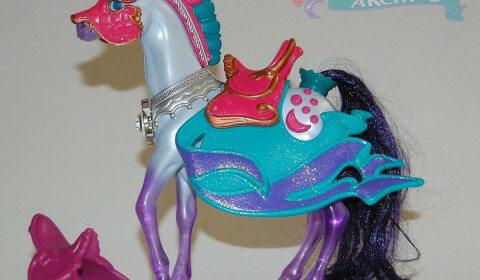 Also includes a preproduction saddle that is not painted.